By Randolph Bruno (UCL, left), Nauro Campos (Brunel, centre) and Saul Estrin (LSE, right). Foreign direct investment is a key aspect of globalization. The conventional wisdom is that although economic effects of FDI on the host economy are mostly positive, they are conditional. For example, they depend on host countries having reached critical levels of human capital or institutional quality. This column provides a systematic assessment of the contemporary evidence. It reports a meta-analysis of about 1100 estimates focusing on countries under those thresholds (i.e., those for which previous studies tend to find no robust effects). It concludes that the economic impact of FDI is less “conditional” than commonly thought. 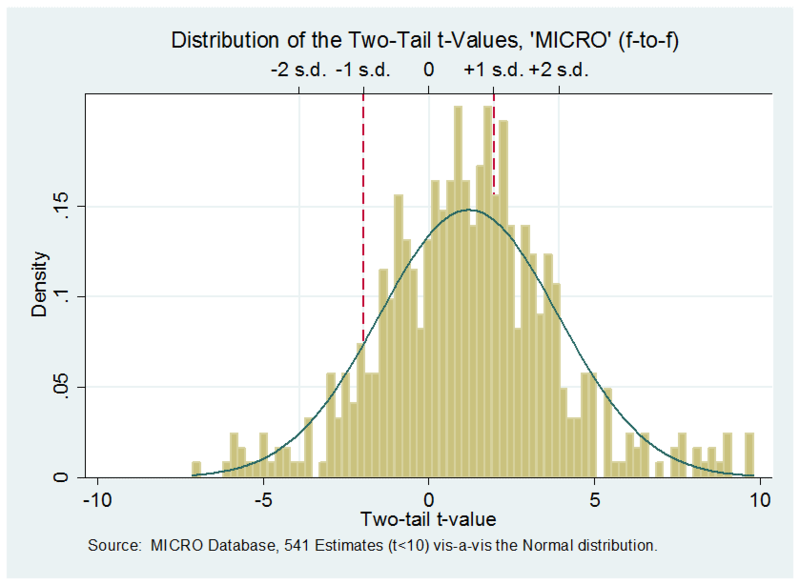 One potential explanation is that, below the thresholds, the difference between “macro” and “micro” effects is substantial while, above them, the difference between private and social returns is smaller. An important aspect of the globalization process  is foreign direct investment (hereafter FDI) which underlies the fragmentation of supply chains  and the emergence of global companies .Time and effort have been devoted to develop a satisfactory understanding of the rationale and the mechanisms through which the benefits for the host of FDI take root, leading to theoretical support for a positive impact from FDI; e.g. through increases in total factor productivity and accelerating capital accumulation. This led to the expectation that the gains from FDI in terms of economic growth and business performance would be easily identified, allowing the debate to be focused on the scale of these benefits. However, consistent positive empirical effects have proved to be elusive. Rather, recent research at both the overall and firm levels has converged on the view that the effect of FDI on the host economy is conditional. Hence in one stream, the overall effect of FDI is argued to depend upon whether recipient countries have attained minimum levels of human capital ; financial development ; institutional quality . In the other, the firm-to-firm effects of FDI operating through horizontal and vertical spillovers, are considered to be conditional upon the form of inter-firm linkages, with vertical dominating horizontal and backward forward linkages . This column takes contemporary stock of the evidence, treating overall and firm-to-firm effects jointly . We re-assess the conclusions of the literature based on a comprehensive systematic quantitative review of these two bodies of empirical evidence within a comparable empirical model. The empirical literature documents the relationship between FDI and host economy growth, investment and productivity. The impact of FDI has typically been identified at the micro-level by looking at firm-to-firm evidence, usually restricted to a single country, about spillover effects on firm productivity and performance from foreign to domestic competitors within an industry (horizontal spillovers) or through supply chains (vertical spillovers). These studies typically have little to say about the overall impact of FDI. 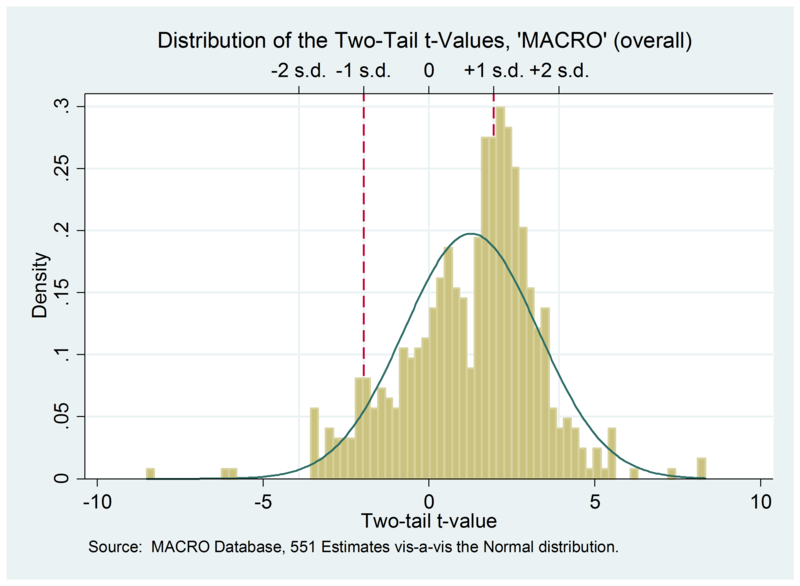 In contrast, macro level analyses have a cross-country perspective and therefore need to overcome more cogent potential methodological problems in terms of, for instance, endogeneity and omitted variable bias. Although drawing on different theoretical underpinnings and data analyses, both streams of the literature, when compared and contrasted, have strong findings. We employ a sophisticated empirical model allowing the studies to be a random sample from the universe of all possible studies and hence assuming that there are real differences (which we test for) between all studies in the magnitude of the effects. The second set of results tries to identify the reasons for the observed variation in the estimated effects of FDI. 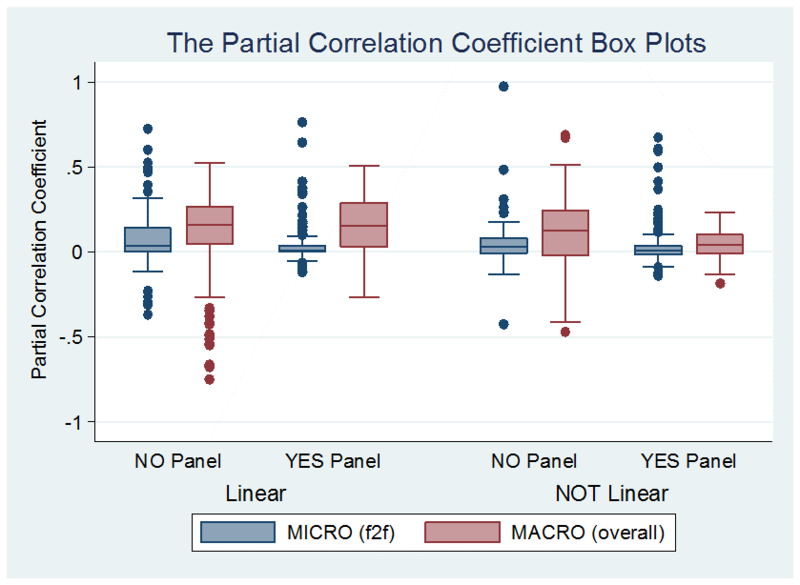 We show show that the choice of statistical method and specification are more important factors in macro studies than in micro, because the latter often uses more sophisticated empirical models. There is evidence that empirical specifications controlling for panel unobserved heterogeneity report significantly smaller effects of FDI and the same applies to those studies that take into account the interaction of FDI with, for example, R&D expenditures, trade openness, human capital, and financial openness (in macro studies). Macro studies have attempted to overcome methodological challenges of endogeneity and omitted variable bias often via interaction terms so as to identify potential channels. The third main result is that FDI spillover effects are heterogeneous through time and countries, even when controlling fully for statistical method and specification. Can one find any systematic patterns for time and country heterogeneity? Interestingly, we do find country-specific differences, but no systematic differences across years. For countries, we are able to identify a wedge between the average macro and micro effect. The average wedge is 6 to 1 on the whole sample. However, there is variability among countries: for example, if we look at a given year in the middle of the sample (e.g. 1995), the micro effect in China, in Ghana and in Ukraine is respectively about 7%, 12% and 60% smaller than the macro. The main lesson from the literature, namely that the spillover effects of FDI are conditional on countries having reached certain thresholds with respect to human capital and financial/institutional development, is disjoint with the finding that the effects are larger for countries below such critical thresholds  . We posit that the gap between private and social returns, albeit largely missing in most of the current academic and policy discussions, may provide an explanation. Private returns to FDI are higher in low income countries, but because of institutional deficiencies, infrastructure problems, pervasive rent-seeking and/or generalized lack of competition, the benefits from these investments projects are highly localized. This wedge between the overall and micro effects is important for the dynamics and distribution of the benefits from globalization but has received, as our analysis suggests, insufficient attention in the literature so far. This blog post is based on Bruno, R., N. Campos and S. Estrin (2017), “The benefits from foreign direct investment in a cross-country context: A meta-analysis”, CEPR Discussion Paper No. 11959. This articlewas originally posted on VoxEU under the title “Gauging globalisation“. Reproduced here with permission. Rodrik, D., (2011),The Globalization Paradox, Oxford: Oxford University Press. Baldwin, R. (2016), The Great Convergence, Cambridge: Harvard University Press. Navaretti, G. , Venables, A. and Barry, F., (2004). Multinational firms in the world economy. Princeton University Press. Borensztein, E., J. Gregorio, and J. Lee (1998), “How does Foreign Direct Investment Affect Economic Growth?”, Journal of International Economics, 45(1): 115-135. Alfaro, L., A. Chanda, S. Kalemli-Ozcan and S. Sayek (2010) “Does Foreign Direct Investment Promote Growth? Exploring the Role of Financial Markets on Linkages.”, Journal of Development Economics, 91(2): pp. 242–256. De Santis, R.A., and Lührmann, M. (2009). “On the Determinants of Net International Portfolio Flows: A Global Perspective,” Journal of International Money and Finance, 28, 880-901. Cohen, M. W and D. L Levinthal (1990), “Absorptive Capacity: A New Perspective on Learning and Innovation”, Administrative Science Quarterly, Vol. 35 pp. 128-152. Acemoglu, D., P. Aghion and F. Zilibotti (2006), “Distance to Frontier, Selection, and Economic Growth”, Journal of the European Economic Association, Vol. 4, No. 1.